Where do I find control code to register a pattern? I had several questions about the control code needed to register a pattern. You add here a comment and choose if you want the pattern to be public or private (one day you will be able to change those value afterward). Be sure your pattern is visible before going further. If you abort the process before this third step you will have a line in the gallery, but no preview. If everything OK, you find your pattern in the gallery. 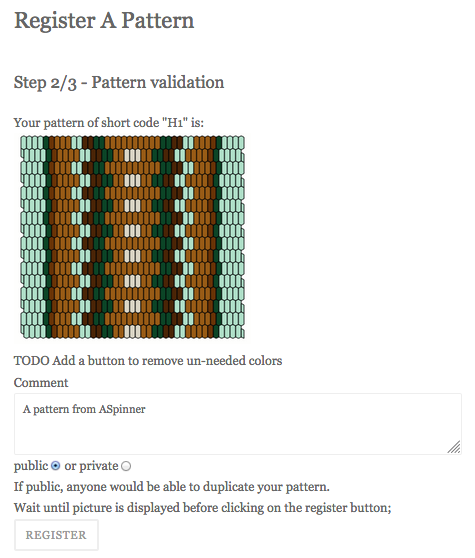 If you already created a pattern but not have the control code, send me a message. And leave a comment if you need more help or if something goes wrong. 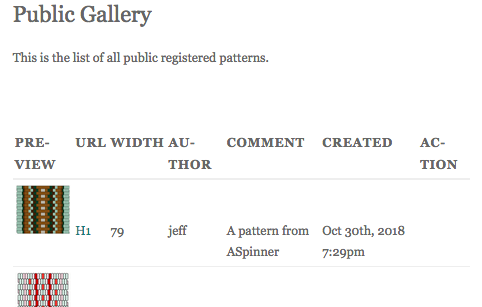 The pattern editor is design as an offline tool. You can save it on your computer and design your bands even if you are not connected to the internet. But then, it’s a bit difficult to share your pattern. There is a new tool for those who have an account on the blog. 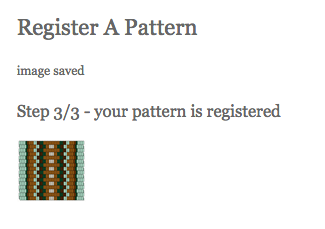 If you save you pattern using the button on the left menu, you get a short link and a control code. 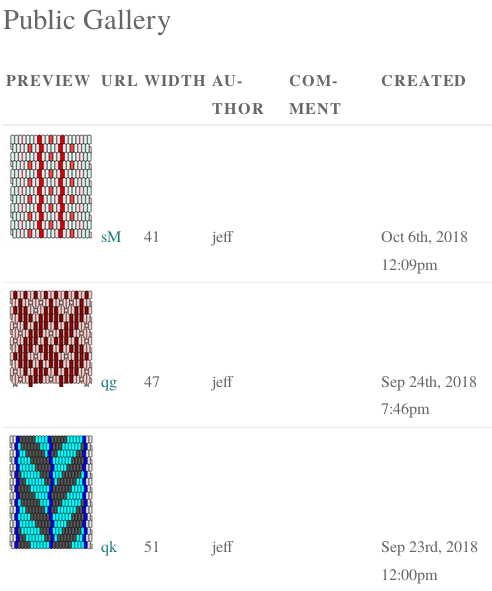 You can then register your pattern on this page http://www.raktres.net/blog/seizenn-register-a-pattern/ (you can get it on the top menu “Inkle loom pattern editor”/”Register a pattern”). During the registration procedure, you choose if you want to keep you pattern private or share it. You then have acces to the public gallery and to your private gallery. 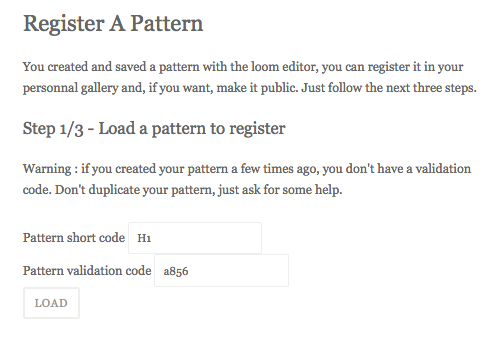 If you created a pattern few times ago, the tool didn’t gave you the control code. If you want to register such pattern, please leave me a comment with the short codes.